The images of HomeArt programs by Pietro Grossi, are proposed through software by Sergio Maltagliati. This is a software which generates always different graphical variations. It is based on HomeArt�s Basic source code. 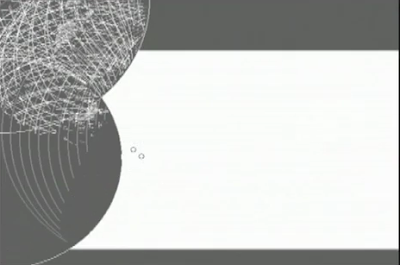 The music program produces an automatic and generative music,starting from a simple sound cell. Beginning with [email protected] in 1997, Sergio Maltagliati has created works on the Internet that combine audio and video elements into an intriguing interactive Internet experience. As far as a formal education, Maltagliati studied music at the Conservatory �Luigi Cherubini� in Florence, Italy. Shortly after he finished his education at the Conservatory he began to paint. He then created his own style of combining the two practices into interactive web sites where the viewer is invited to compose a unique work by simple mouse manipulations. Maltagliati often collaborated with a famous electronic music professor from Italy named Pietro Grossi. Grossi was the first person to introduce the infamous experimental musician from America, John Cage, to Italy in 1964. 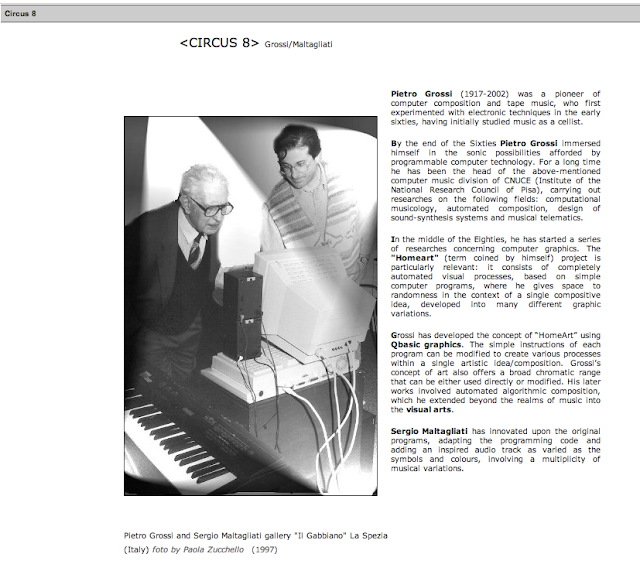 In 1965 Grossi was offered the first professorship teaching electronic music in Italy. The professorship was at the Conservatory in Florence where Maltagliati later attended." Do view the other videos in this series, playlist link provided above. What a very interesting find - project. Using programs to generate graphics and music originating in early computer music programs for computer and tape composition, this is a great discovery, thanks to Sergio for getting in touch.